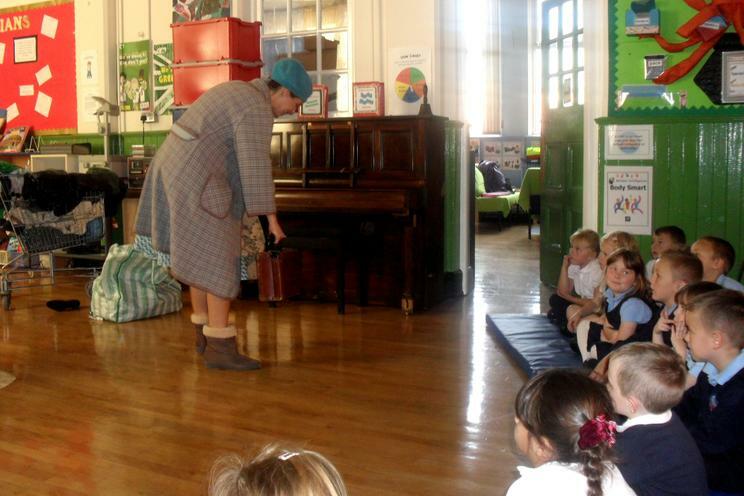 On Thursday 7th October The infants and class 3 were treated to a performance of "Whose Shoes?" by the Theatr Iolo. 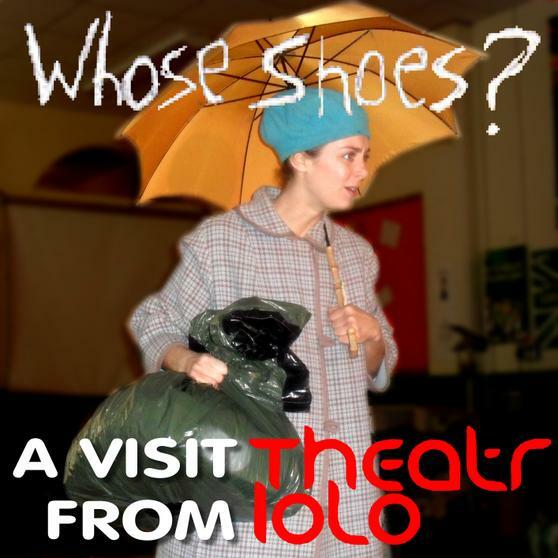 The play is of "the delightful children's play, "Whose Shoes" by the acclaimed children's playwright Mike Kenny. Eldamina loves to dance. She loves to dance so much that Cinderella even gave her the famous glass slippers to dance in. Eldamina dances for anyone who will watch. But one day her enjoyment is shattered when there is a new arrival - a baby sister. And she discovers that the baby sister will one day inherit the beloved glass slippers. In a rage, Eldamina throws her shoes to the bottom of a lake. "If I can't have them, then nobody can!" Find out what Eldamina does next, the journey she takes and how far she will go to get her shoes back. An uplifting tale of jealousy, tantrums, dancing, music and sisterly love." A big thank you to Mrs Richards for taking these photos. 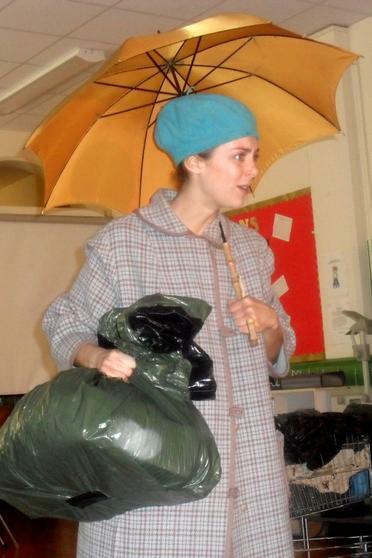 We always enjoy a live performance often the skills of the actor can have a big effect on the children. 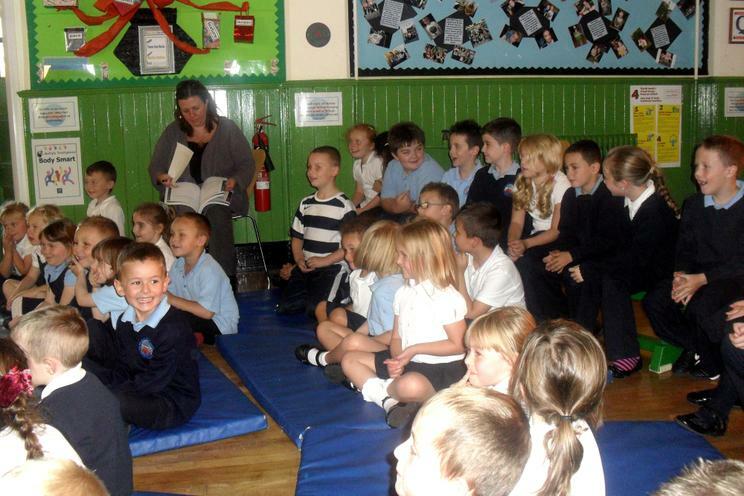 You can see when Cath Prosser performed the same show at the school in May 2006. 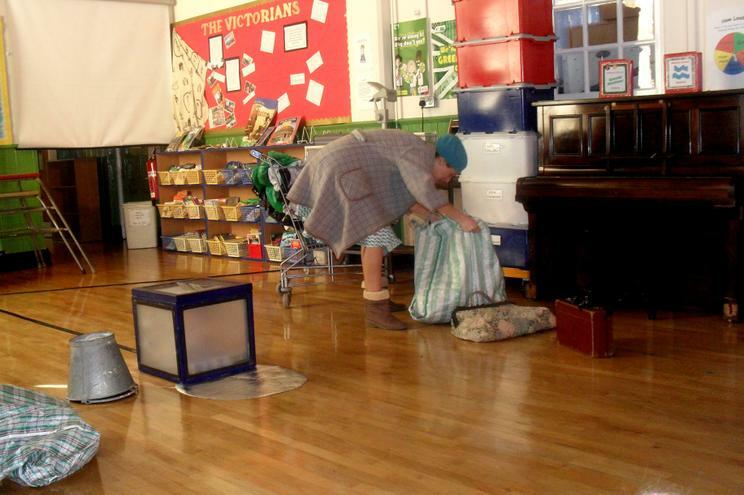 In 2008 Theatre Iolo visted us to perform Warrior Square about prejudice. 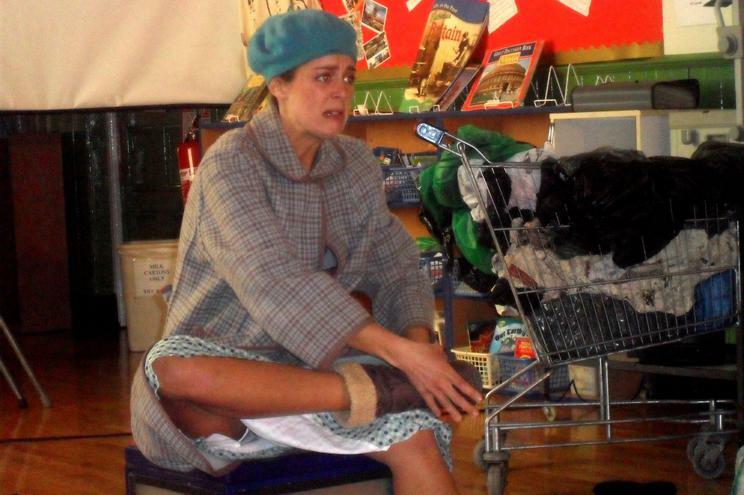 Before that in Jan 2006 we had a visit from the Pandemonium Theatre. 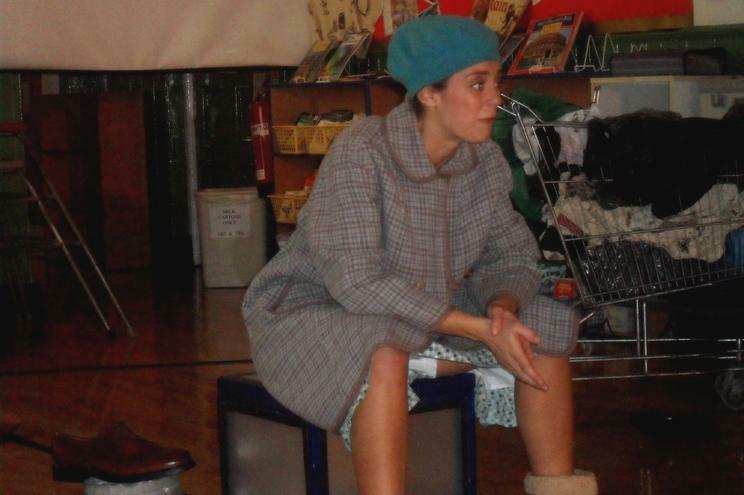 Arad Cogh Theatre Company visited us as part of the Read A Million Words in Wales Scheme in 2007, there are of course lots more photos on our old website too.